This coming year we have a significant event coming up - United Nations has declared the World International Yoga Day (Applause). That means those of you who are living in the Yoga Center or associated with the Yoga Center means this is your day. Tch, first time in the world you know (Laughs). 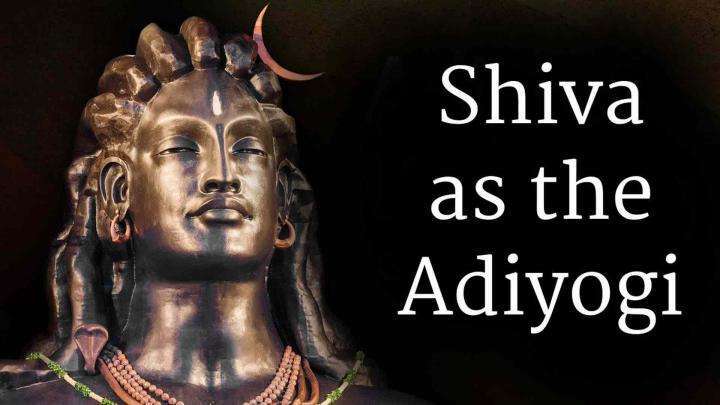 Since Adiyogi, over 15000 years ago, since then many things have happened in terms of propagating yoga, in terms of reaching out, many administrations in the form of kings took to yoga and did things. When Krishna was here, this was… maybe people don’t recognize him unfortunately for this tremendous effort that he took to have political system and the spiritual process fused as one, this is what he wanted to achieve. And he’s not being credited with this. People are only talking about the excessive butter he might have eaten (Laughter) and the girls and the flute and the cows and the dung and whatever (Laughter). No, that is not what his life is about. His life is that he strived throughout his adult life to bring the political process and the spiritual process as one. He started over 1000 ashrams acs… across the northern plains of this country. Nobody acknowledges him for that, this is the body of his work because he did not want spiritual process to be an archival process somewhere in some ashram. He wanted this to spread across the society, above all those who rule the nations must be spiritual in nature. This was the intention and always mingling and handling kings and their affairs but he himself chose never to become a king. He was a kingmaker in many ways but never a king, he had the armies to become a king. There was land on which his people lived, so he could have become a king effortlessly. If he wanted to become the king particularly the Pandavas, who would have given up their whole kingdom and said, “You be the king,” there’s no question about that. But he never ever became a king, only wanting to get the spiritual process and the elec… and the political process together. This was the whole effort. So it’s wonderful today that the United Nations has declared this and a head of a state is talking about yoga, this is a big thing (Laughs) (Applause). We’ve been… We’ve been working to do this - particularly in the last twelve to fifteen years we’ve made many efforts to bring people, who are the leaders of nations to have some spiritual process in their life. We only get them after they have retired, sometimes we get their spouses but we never get them (Laughter) till now (Laughs). For the first time the head of a major nation on the planet is talking about yoga in public in International Forum, and for the first time one hundred and seventy-seven countries get together to pass a resolution. Never before in the history of United Nations, hundred and seventy-seven countries have voted for anything, anything for that matter (Applause). So the coming year is a historic event in many ways because this co… this could be a kind of a foundation stone to make scientific approach to the inner well-being of the human being, a worldwide thing that if you want to be well you don’t have to seek heaven’s help, you can turn inward and fix it. You can turn inward and create well-being, you don’t have to look up, you don’t have to look down, you don’t have to seek celestial help. The human well-being or the quality of human well-being essentially is originating from within. If you want to fix it or if you want to mess it up both can be done only within you. This is the message, when you say there is a (an?) International Yoga Day this is what it means the world is beginning to accept human well-being is not in heaven, it’s within us. It’s a tremendous step for the world and here we have big plans what we want to do in the next five to six months and what happens later. A vertical scale up of yogic practice on the planet can happen. We have very big plans for the coming six months. We want committed people, we want committed teams across the country and in the rest of the world that who will really go by this plan to see that this shift of attempting human well-being, instead of heaven we shift inward. This can be truly scaled up in the coming year. We have a… a very elaborate plan. We want many of you to become a part of this plan in a committed way, not off and on but in a committed way because this is a historic event and it’s wonderful that it is timed at the time or beginning of Dakshinayana. That is, on June 21st is the International Yoga Day, it indicates the shifting of the relationship between the sun and the planet from North to South. So let’s not talk about work today but it’ll come, lots of work. I was thinking 2015 I’m going to step back and start practicing retirement a little bit but no, 2015 is going to be full throttle (Laughs). So you should not… (Applause) you should not try to tire or retire (Laughter) in the coming year. No tiring, no retiring, okay, full throttle, are you up? Sadhguru: “We thought this is a party but (Laughter) all you can talk about is work.” There are people who… There are people who enjoy the process of life, there are people who suffer the process of life. For those who suffer the process of life, party or pleasure is the only beautiful time or reasonably pleasant time in their life. Those who enjoy the process of life you can do whatever is needed and still enjoy it (Laughs). If you’re enjoying the process of just being alive, what you’re doing doesn’t matter - whether you’re eating or you’re working doesn’t matter, whether you’re singing or you’re sitting still doesn’t matter because you’re enjoying the fundamental process of life. So for this to happen that you are enjoying the very fundamental process of just being alive – life, not activity, just life - you’re enjoying the process of being a life… If you are enjoying it, naturally you will do what’s needed, not what you fancy. 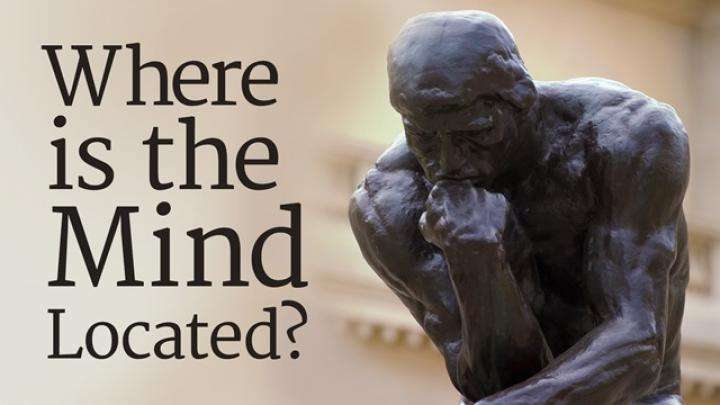 Sadhguru answers a question about where the mind is located in the body. 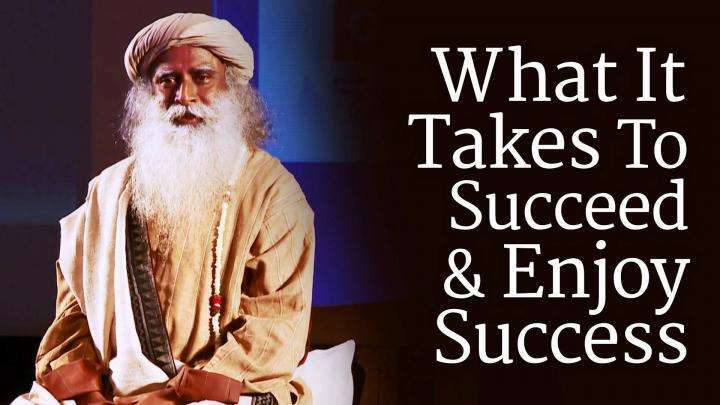 Sadhguru explains that how successfully and efficiently we conduct ourselves depends on how much we know about ourselves.